Sorry, the paper version is out-of-print. 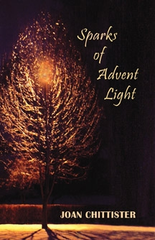 Scripture readings and reflections by Joan Chittister for each Advent Sunday and Christmas. Thoughts for each day of the week.